We believe that Sharmee has been called to be the hands and feet of Christ to these victims of selfishness. Her desire and willingness to serve “the least of these” is truly an inspiration to us. She has a tenderness and determination that is inspiring and humbling to say the least. Support of Sharmee with prayers, financial gifts and encouragement are and will continue to be a great investment. 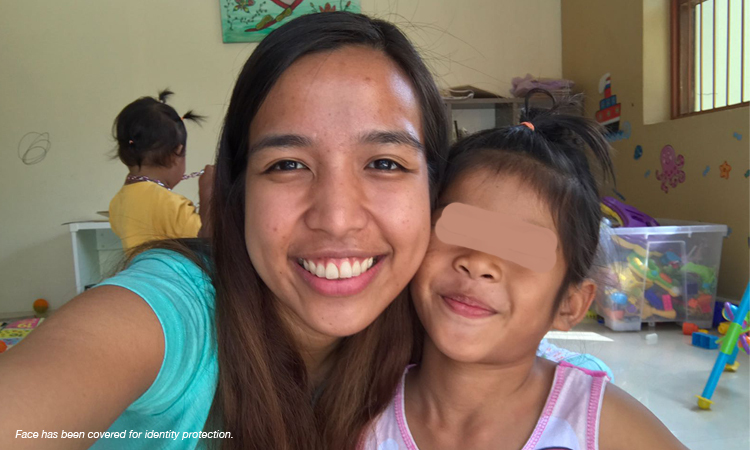 “Shadowing Sharmee and the team at The Oasis during a volunteer trip helped me grasp how crucial their work is in integrating children back into the society after being victimised by child trafficking. There is so much added value in meeting the people behind The Oasis in person. It is far better than just reading about them on a website or on a document, or even hearing about them from friends. Firstly, visiting The Oasis allowed me to see the very high standards they have in terms of keeping a home that’s excellently healthy for the recovery and growth of the children. As someone who has committed to supporting their capacity building, this is very crucial as supporters are critical about which organisations they support. With the values Sharmee and team uphold, it is easier to talk about them with potential donors. Jo-e leads a non-profit group in Singapore called Giving is Social that supports The Oasis in its fundraising efforts and volunteer mobilisation. “Visiting Sharmee and her team in Pattaya in 2016 was an invaluable experience that gave me a chance to reflect on my own life priorities and motivations. Even after having been in the volunteering space for a long time, my experience at The Oasis came as a fresh eye-opener. It gave me a clearer idea of what the real needs are of this group of children. Through my interactions with the various partners of The Oasis in Pattaya, it was obvious to me how much the community appreciates what they do for the children. The work they do at The Oasis ensures that every child they encounter has a chance in life. “My volunteering with The Oasis was an eye-opening experience. The children there who I’ve met were all victims of abuse or abandonment. One case was baby Grace. She was only 25 days old when she was left in a hospital by her parents. It broke my heart. I held her in my arms. She was so little to be left alone. I fed her, changed her diaper and brought her to sleep. She’s easy to babysit, although there were times when she cried a lot. The other care-givers helped me calm her down. There is Dia, a sweet 4-year old boy who met me and held my hand as I was coming down from the taxi on the day I arrived at The Oasis. There is Noah, 10 months old, who everybody adores being the youngest among the children. There is Anna who loves playing with other kids and has the sweetest smile. All of them plus the other children at The Oasis seem to get along very well. They also know how to take care of each other. They are all well disciplined and good at following instructions. You can tell that the children are being brought up in a radiant environment. Learning about these children’s backgrounds, I kep thinking “These kids deserve a normal life just like all of us – and that is to be with a family in a home filled with love and care.” And this is what they are receiving at the moment while they are at The Oasis waiting for a biological family to be reconnected with them, or a foster family to adopt them. While I was there, there were 10 children at The Oasis. This feels to me as too many a story of abuse and abandonment. It’s heartbreaking to know that there are still a lot of more of them with no home, abandoned in the streets or held captive by traffickers. Trish assisted in care giving and house keeping during her few days at The Oasis. She is currently a monthly sponsor of the home. “The Oasis really lives up to its name. We are witnesses to how they provide a safe, comfortable and caring home for rescued and abandoned babies and kids in Thailand. After coming back from a short volunteer trip at The Oasis, we have been more inspired than ever to give back to the community. Meeting the two full-time volunteers at the baby shelter, Sharmee and Rosie, has been such a blessing. Their dedication, passion and selflessness are truly inspiring. We feel lucky to have met people like them. 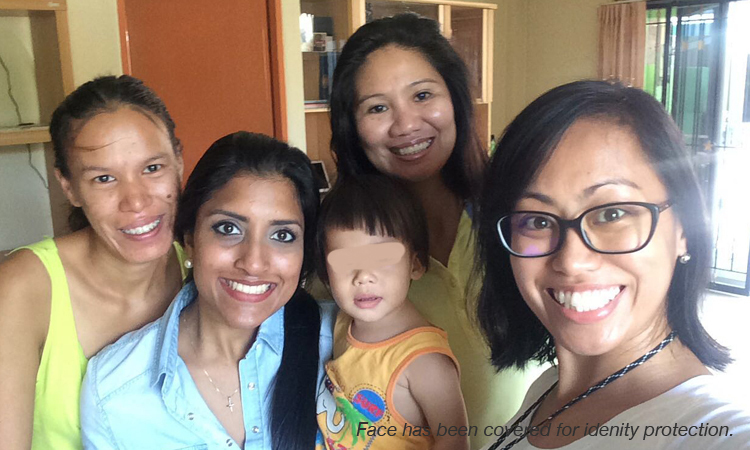 We’ve seen with our own eyes how they provide care and love to the abandoned and rescued children in the shelter. 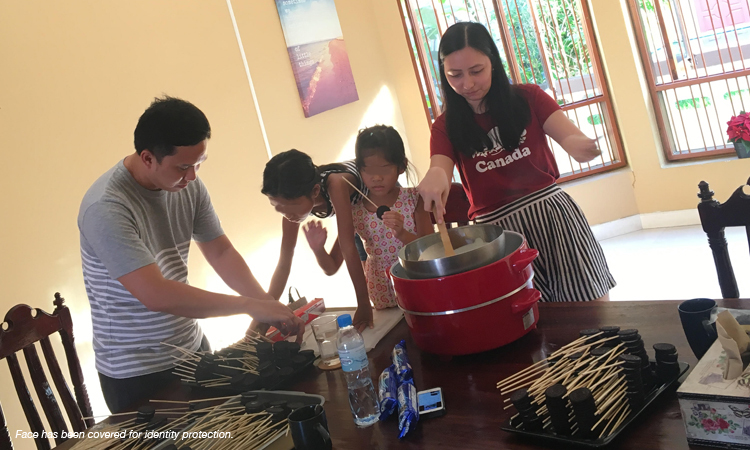 Here, Irene and Aaron baked goodies to sell at a campus food sale in Pattaya to raise funds for The Oasis. They also helped with house work. 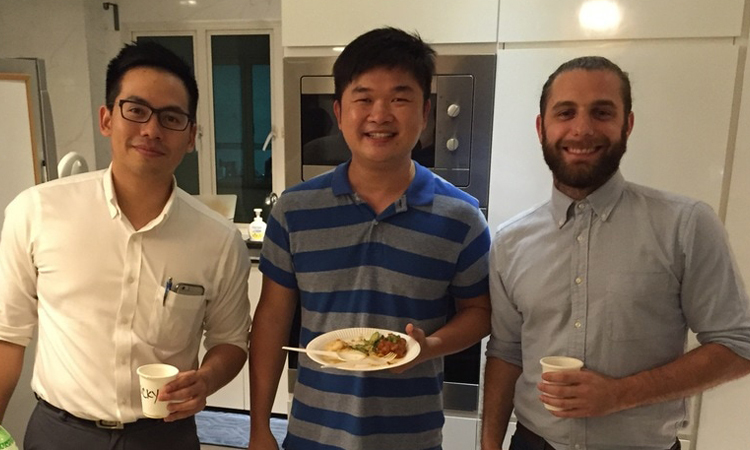 Back in Singapore, they support The Oasis through advocacy campaigns and fundraising support.